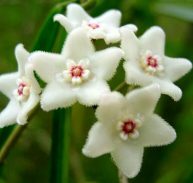 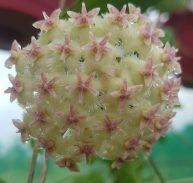 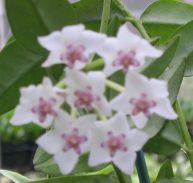 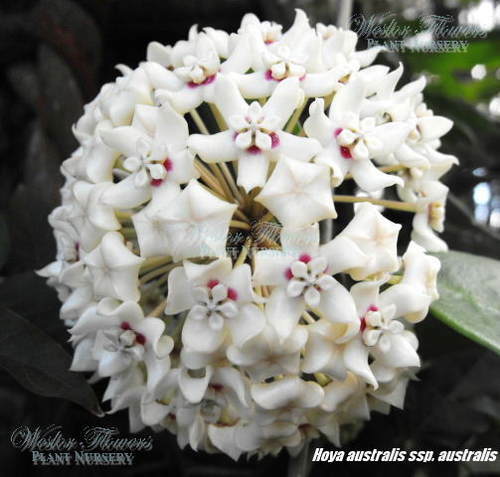 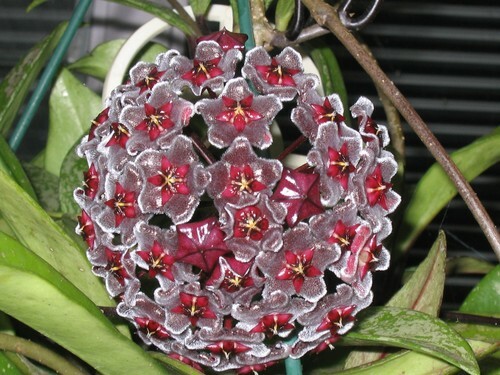 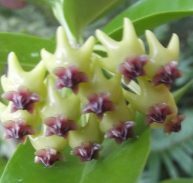 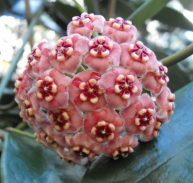 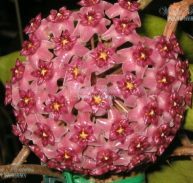 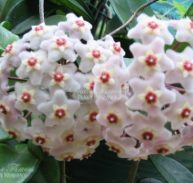 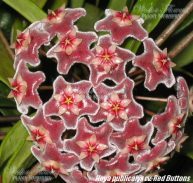 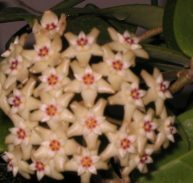 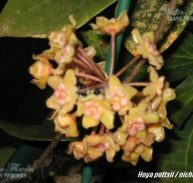 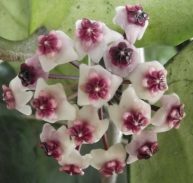 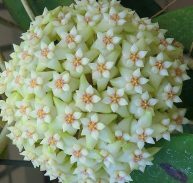 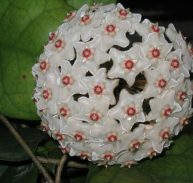 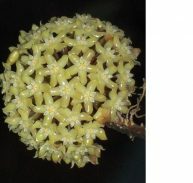 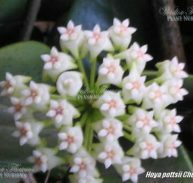 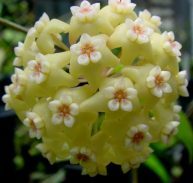 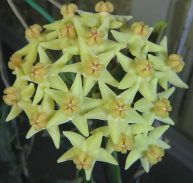 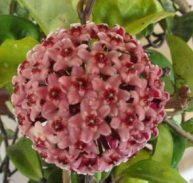 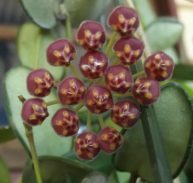 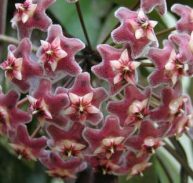 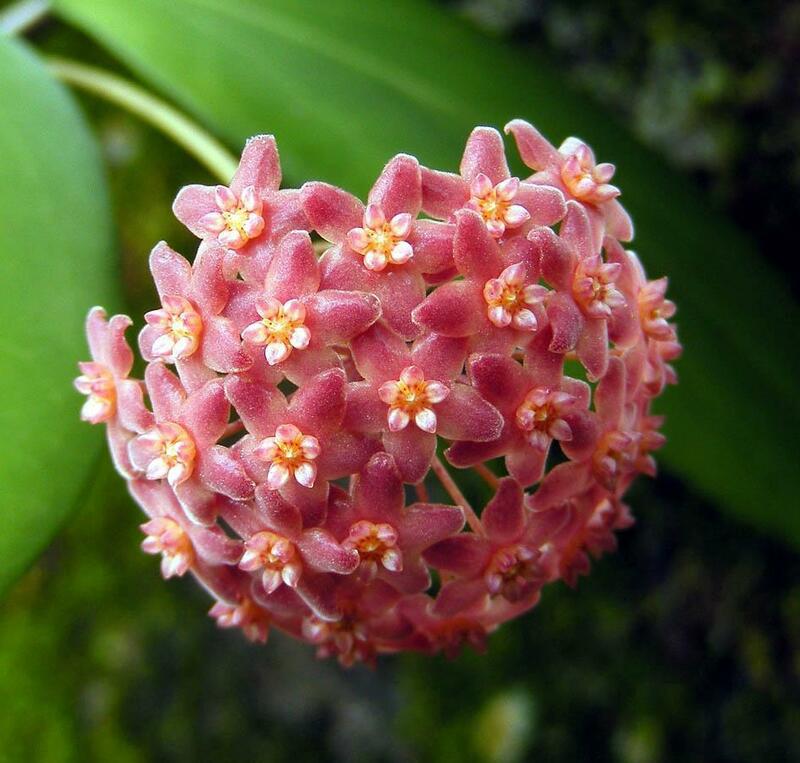 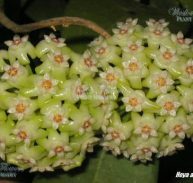 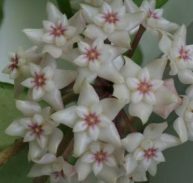 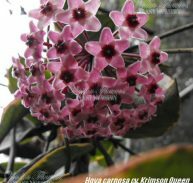 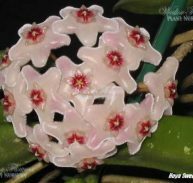 Hoya ‘Silver Pink’ is a publicalyx cultivar and originates from the Phillipines. 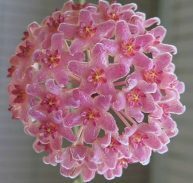 It is also known by ‘Pink Silver’. 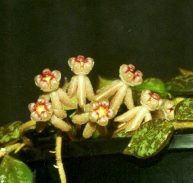 This species grows very fast and has green leaves with red /maroon new growth with silver streaks. 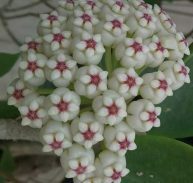 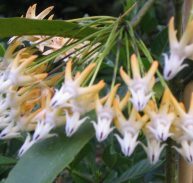 The silver marks on the leaves turn pinkish-silver when exposed with more light and sun. 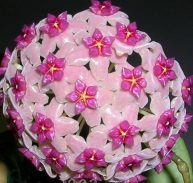 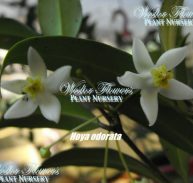 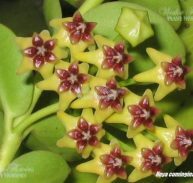 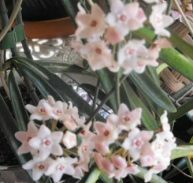 The flowers are fragrant and are a maroon colour with a pink corolla. 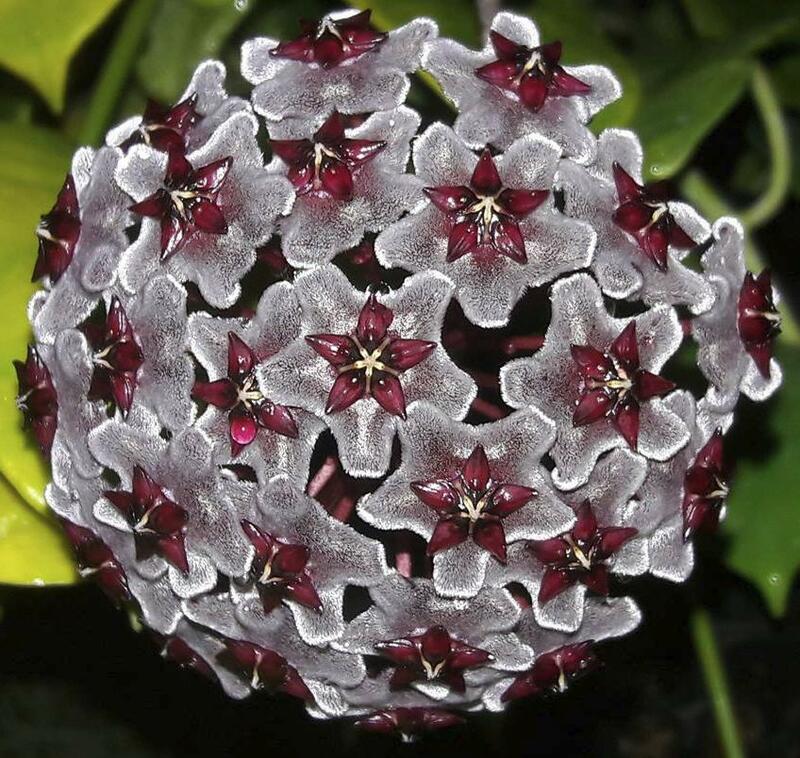 It can handle frost for short periods of time. 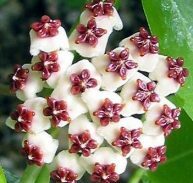 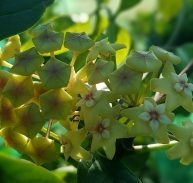 Prune after flowering if required but don’t cut off flower buds as flowers appear each year on the same bud. 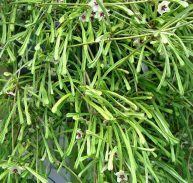 Fertilise during growing period and withdraw water in the colder months.